Rarely do you find properties of this size and calibre in this central plains location. This outstanding 8 hectare lifestyle property features a permanent material "Lockwood Home" set in park-like grounds enjoying 4 bedrooms, family bathroom plus ensuite. The formal lounge, dining and kitchen open's onto north facing patio area well setup for alfresco dining/living with outdoor oven and hot tub. The detached double garage features a studio room located above with its own bathroom, providing options as a guest suite. 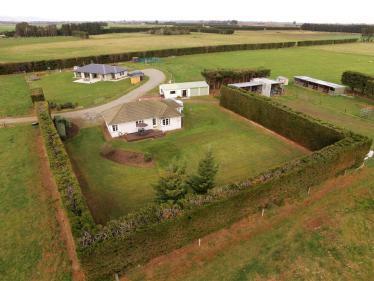 Outbuildings include the impressive 275m2 fully enclosed shed that lends itself ideally to someone looking to establish a business from home or the ultimate man-cave. 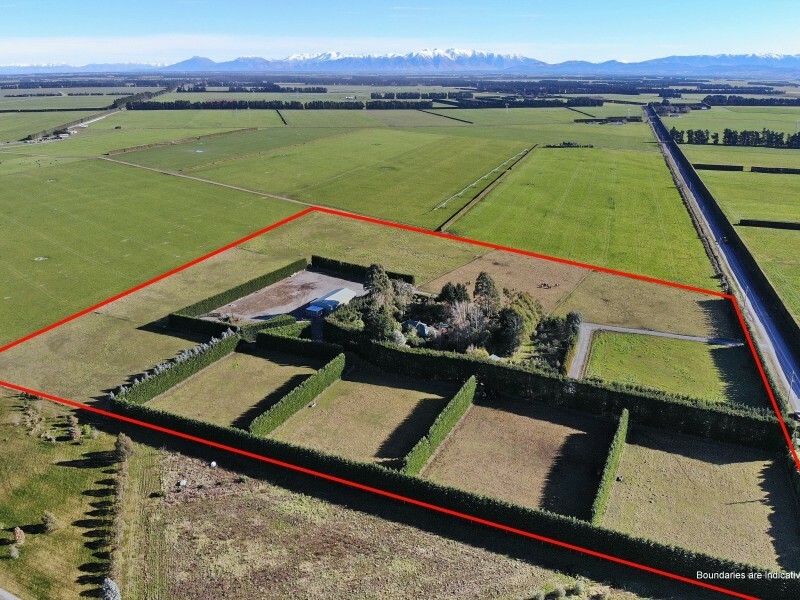 The property also benefits from an irrigation consent via groundwater bore and is well subdivided into 10 paddocks with excellent shelter, ideally suited to horse or cattle grazing. 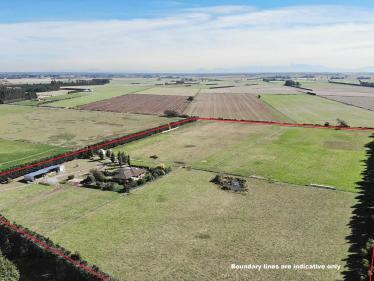 Opportunities like this rarely come to market, if you're looking for that genuine rural retreat or more space to work from home, then this property cannot be beaten.